Perfect for Oktoberfest this German Lederhosen mens costume for sale. 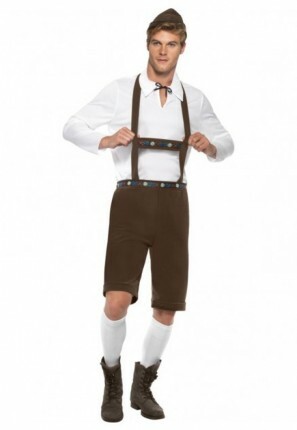 Costume has brown, Lederhosen Shorts with Braces, Top and Hat. Check out our How to Dress for a traditional Oktoberfest guide.